Thinking where to start a new venture? Which country to expand your business in? Hong Kong is the right place for you. Hong Kong is the upcoming hub for startups and innovation. According to the Index of Economic Freedom 2018, Hong Kong has the highest economic freedom score (90.2) in the world. Hong Kong is a free territory which drives in a huge amount of FDI in its market. Company Setup in Hong Kong can be done within an hour, provided one has all the right documents. 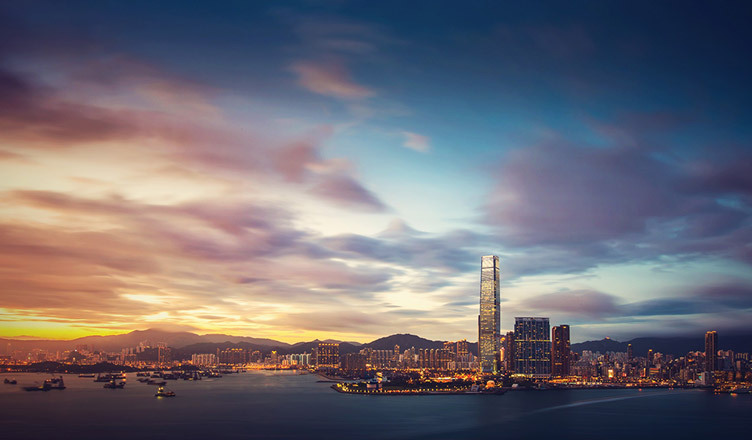 Hong Kong provides all the necessary facilities a businessman requires to set up his/her business, like ease in business registration, solid infrastructural facility, fair legal system, simple taxation method, and a possible market for all types of businesses. What makes Hong Kong a special place for setting up a business? Ranked highest on the Economic Freedom of the World index, HK provides complete freedom in starting a business. Unlike most countries in the world who put a lot of barriers on foreign entrepreneurs, HK provides them with tools and unrestricted access to most of their markets. High-quality legal framework, little intolerance for corruption and a high degree of transparency are also the reasons behind the growth of HK economy. Hong Kong government has made it simple for local as well as foreign businessmen to start their business. We see in many countries the long procedures, n number of documents required, months and months of time taken to start a simple business; HK government has cut down all the procedures that are uncalled for. HK has made it easy and less expensive for entrepreneurs to start their business, perhaps that’s the reason that 2000+ startups have been recorded by the Hong Kong company registry. Hong Kong for 150 years has served as a route to mainland China and many other Asian markets. Companies in Hong Kong are able to utilize Free Trade Closer Economic Partnership Agreement and tariff-free exports to the Chinese market. However, the policies in HK are a little different when compared to Mainland China. When one thinks of a company formation in Hong Kong, taxation is not at all a problem for them. HK has one of the lowest tax policies prevailing in the world. The corporate tax is 16.5%. A businessman gets a total exemption on capital gains, offshore income tax and tax on dividend. A legal system that provides transparency and a fair deal to all the people in its country attracts investors from around the world. Business incorporation in HK is very well supported by their legal system. HK government leans towards the business community by providing them a just business environment at all times. Hong Kong has the best business infrastructure in the world, which serves to the needs of its residents. The country has more than 50 international schools, low crime rate, and high-quality healthcare facilities. Hong Kong transportation service is renowned all over the world due to its efficiency and on-time delivery. Hong Kong welcomes talent from anywhere in the world to start their career or business. HK government is highly supportive of the locals as well as professionals from around the globe to contribute towards their economy. HK immigration policy allows companies to hire professionals like company secretary, chartered accountants, engineers, and doctors. Immigration laws are very friendly in the country. A business is successful not only when it is unique or has a huge capital, other factors like favourable business environment, robust infrastructure, professional help, fair trading, supportive government, banking facility and customers to serve, also come into play. Hong Kong Special Administrative Region (SAR) of republican of China has been serving these factors for decades, which makes it the heaven for start-ups. So, if you are thinking of setting up a company, Hong Kong is a wise choice for a flourishing business. Shahbazkhan Mokashi is a marketing and finance student from Dayananda Sagar College of Engineering. He has an urge and passion to learn new things and is an acting enthusiast.